View My Current Listings Today! 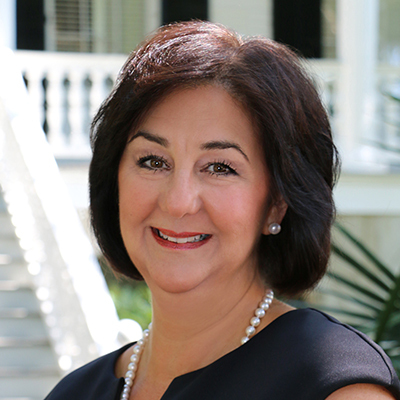 Julie has lived and worked in the Low Country for over 25 years, and is a seasoned Realtor® dedicated to providing results and exceptional service. Julie&apos;s passion for real estate began when she purchased her first home as a very young single woman, and owning her own home made her feel accomplished, confident and very proud; she looks to bring out the same reaction as a Realtor. She took this passion and with it, was recognized as a top producer by her previous real estate firm. She believes real estate is not just about business, but helping people build memories, families and wonderful lives within the walls of a home. Combining this passion and her commitment to customer service, Julie is ready to help you with your real estate goals. Whether you&apos;re buying, selling, or looking for investment property. Julie will be there for you every step of the way. Julie currently resides on Lady&apos;s Island with her husband of over 20 years and their dog, Sugar. "Julie knows her stuff! Professional and so sweet. She helped us through each step to find our dream home fast! She listened to our needs and stuck with our budget. She helped us stay away from some massive mistakes we didn&apos;t consider. She handled all the paperwork and scheduled all the appointments for inspections ect. We ended up with a great home, a huge yard, (even a tire swing!) in the perfect neighborhood for 20k less than our budget! julie was able to negotiate a lot of repairs through the seller and we had a great closing! I&apos;ve already sent my sister to her to find a home in the same neighborhood!" "Julie truly took the time to make our home buying process as effortless as possible. She had the home staged beautifully, and was involved with us as though she had known us for years. She was accommodating to our needs and available to us even during the holiday periods, and followed up with us after the purchase was completed. A wonderful professional, who felt more like a friend than our realtor, I would recommend her to anyone looking for a home in the area." "Julie Potts went above and beyond for me! She was incredibly patient with me while I had her show me listings for 6 months until we found the perfect house to call a home! Julie did not just show me houses; she also informed me of events around the areas and upcoming projects in every location. We looked at over twenty homes and she was able to give me valuable insight at every one of them. Julie was not just my realtor but a friend as well. She had what was best for me and my family on her mind as she helped us. I highly recommend Julie Potts!" "Mrs. Julie was awesome! She was fast, honest and always there when I needed help. Being a single mother and first time home buyer she gave great insight that I needed. I would highly recommend Mrs. Julie Potts to anyone looking to purchase a home!" Find out what you Mortgage will be for free!